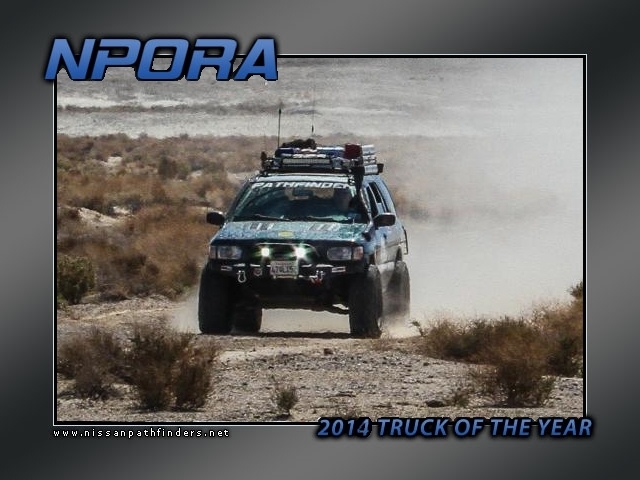 We are an online community dedicated to Pathfinder owners. 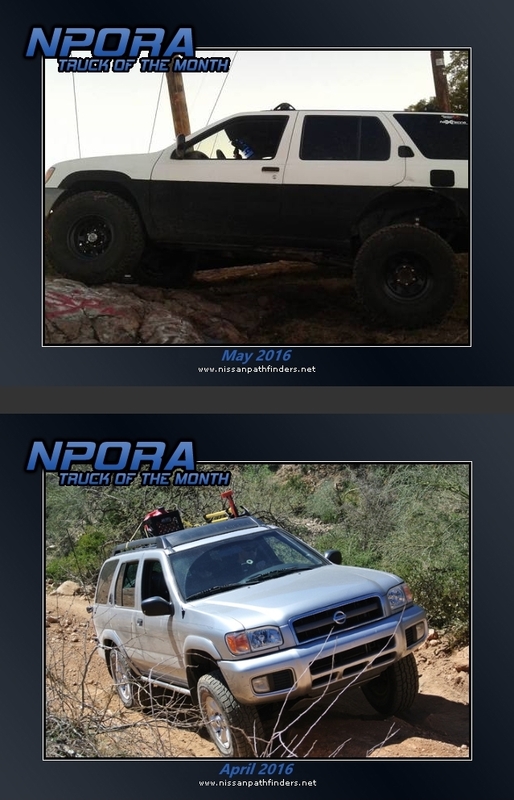 With members spanning the globe, we are the largest Nissan Pathfinder enthusiast group in the world. 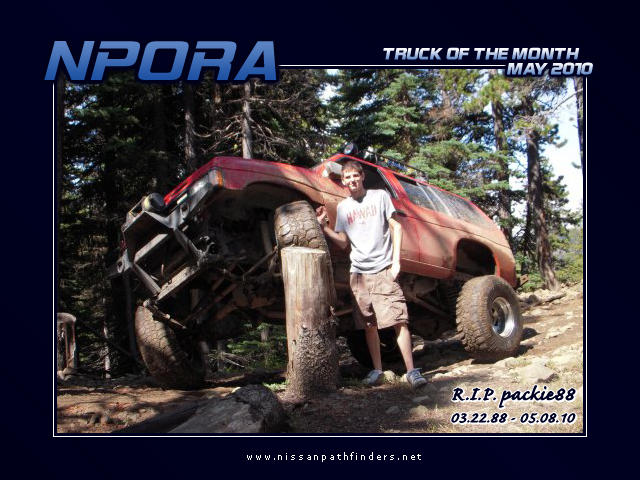 NPORA's Latest "Truck Of The Month"
NPORA 2013 "Truck Of The Year"
May 2010 NPORA lost a friend & a brother. RIP packie88, you will be missed. Our condolences go to Jared's family & friends. Funds Collected. Truck acquired, fixed and cleaned up. MrJim is reunited with it's rightful owner! Way to go NPORA Members!! 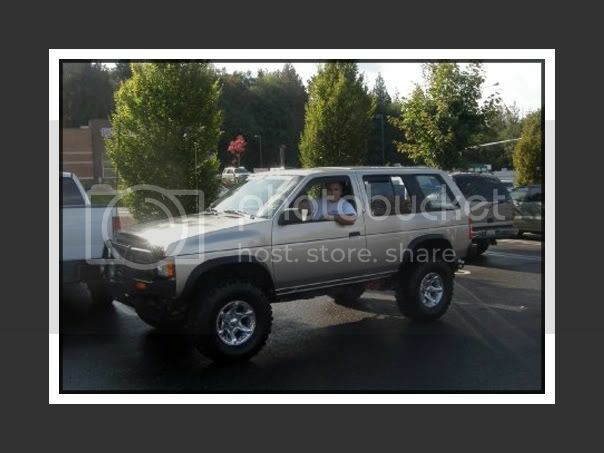 Pics from the First Annual Mr Jim Run are here.